The “Master of Arts in Development Economics and International Studies” (DEIS) provides rigorous training in analytical and quantitative methods. It is designed to enhance the knowledge and skills of students planning to work in or seek leadership responsibilities in public, non-profit, and private sector organisations for international cooperation and development. Each year, a group of about 50 students enrols in this selective programme. Both German and international candidates are considered for admission. In a typical intake, around 50%-70% of students come from abroad. The language of instruction is English. The Master’s thesis will be written in English. 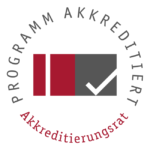 The program is accredited within the system accreditation of the Friedrich-Alexander-University Erlangen-Nuremberg. This means that requirements for legal framework and quality control are fulfilled. Qualified degree (Bachelors, Diploma or equivalent) in Economics. Applicants should have 70 ECTS in economics/management including at least basic knowledge of microeconomics, macroeconomics, and statistics/econometrics. Grade point average of 2.5 or better (in the German marking system) in the undergraduate program. The application is carried out via the University’s Online Application Portal for Master’s Degree Programs. Here, you may as well check the current stage of your application from time to time. You have to submit the application form created by the application portal and all necessary documents as a hard copy to the Master Office; all documents must have reached the Master Office latest by the end of the application deadline. As soon as all your documents have been submitted in the required form, your application will be considered. If you have simply filled in the online application form and perhaps uploaded your documents without observing the above mentioned rules, your application will not be considered. You may find further information about your application at the Master Office’s webpage. Application deadline for the program starting in the respective winter term is normally July 15 of the same year. We appreciate if you consult our page with frequently asked questions before contacting Dr. Christoph Weber. Feel free to contact the members of the committee if you have any criticism, proposals or hints concerning the program (structure, topics, exams etc. ).